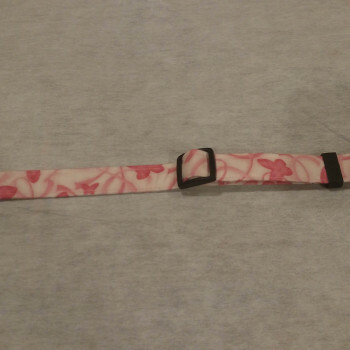 Breast Cancer Awareness Dog Collar. 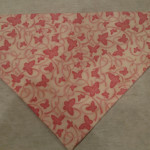 Susan Wingnet design on cotton fabric with pink awareness ribbon and butterfly. 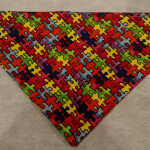 Size Small fits 10 – 15 inches. 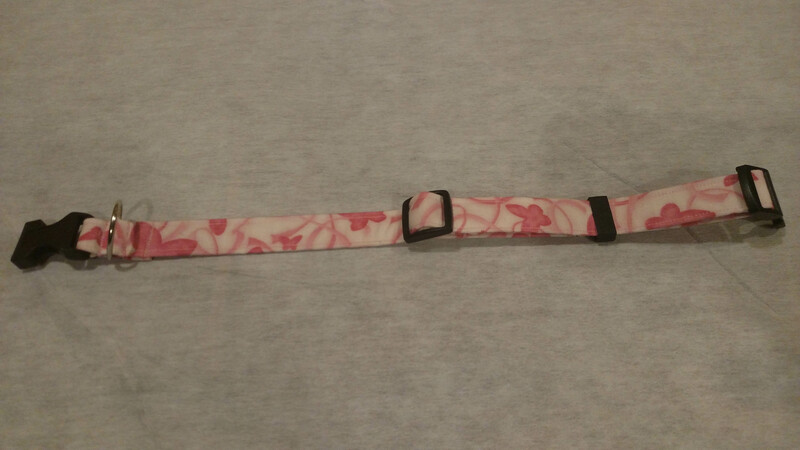 3/4″ wide. I have read some good stuff here. Certainly price bookmarking for revisiting. I wonder how so much attempt you set to make this kind of wonderful informative website.